On December 7th 2016 the 76th anniversary of the attack on Pearl Harbor. For this weeks multi we fly the island in and around Hawaii to commemorate the tragedy. Looking at the data will give you a little perspective of the magnitude of this aggression and against the United States. Let’s fly VFR starting at Ford Island Airfield, takeoff from there and fly over the memorial then on to…Wheeler, Kaneohe, Bellows, Ewa, Hickam. Photo shows Ford Island seaplane base, with the USS Shaw (DD-373) exploding in the center background, December 7, 1941. Also visible is a twin engine PBY Catalina to the left and possibly a Vought OS2U Kingfisher on the right. The USS Nevada (BB-36) is also visible in the middle background. Official U.S. Navy Photograph, now in the collections of the National Archives. To the left of the smoke you can see how the aircraft were lined up making easy targets for the Japanese. 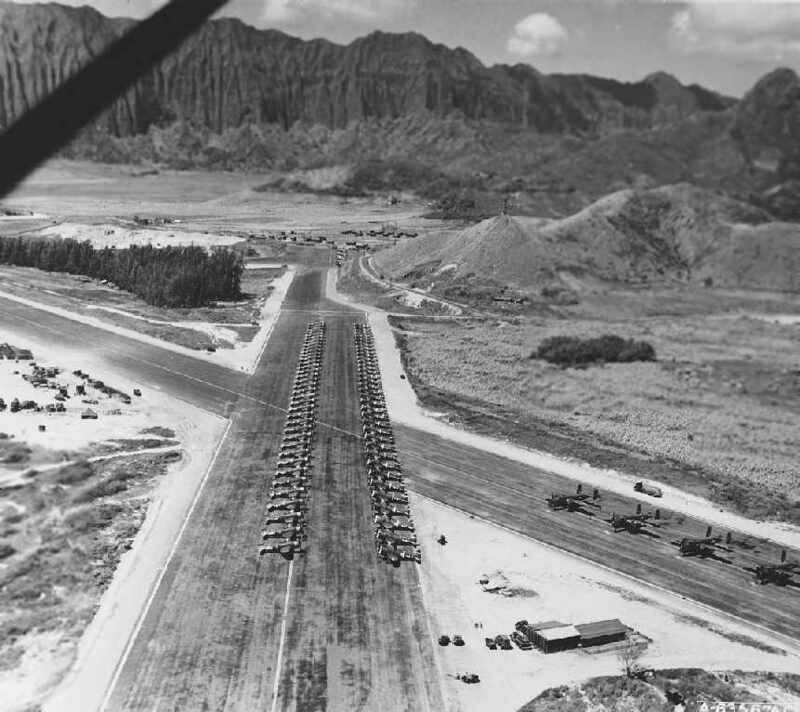 General Short had ordered that the aircraft be lined up out in the open to protect against sabotage. Of the 99 P-40s at Wheeler Field, 42 were destroyed and another 30 were damaged. 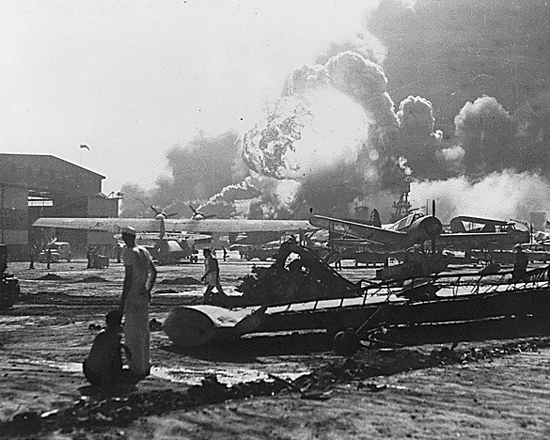 Pearl Harbor attack- Wheeler Airfield. Japanese aerial view of damage. 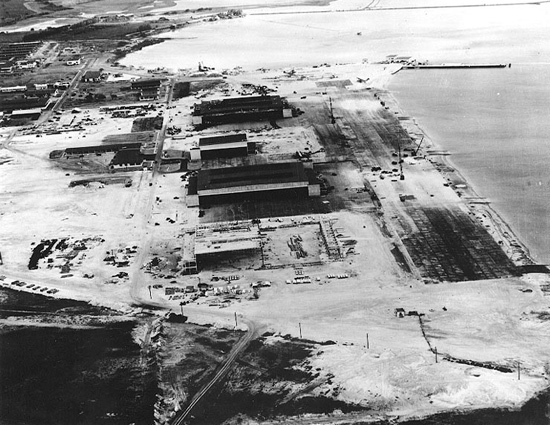 Aerial view of the hangar area at Naval Air Station, Kaneohe Bay, Oahu, on December 9, 1941, showing effects of the Japanese air attack two days earlier. View looks southeast. The most distant hangar appears to have suffered significant damage and has a pile of aircraft wreckage immediately to its left. Official U.S. Navy Photograph, from the collections of the Naval Historical Center. Created in 1917 as the Waimanalo Military Reservation, the base was renamed Bellows Field in 1933 after Lt. Franklin Barney Bellows, a World War I war hero. Bellows Field was made a permanent military post in July 1941, and it was one of the airfields attacked during the attack on Pearl Harbor on December 7, 1941. 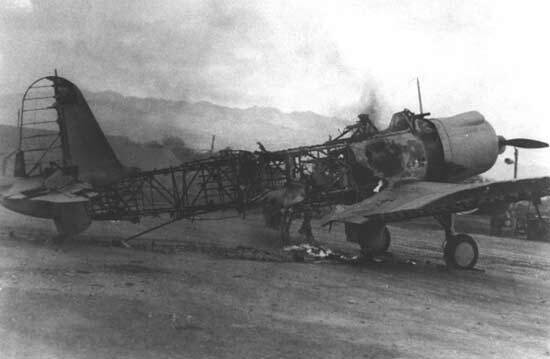 Photo shows a Vought SB2U-3 Vindicator destroyed on the field at Ewa Airfield on December 7, 1941. Marine squadron VMSB-231 had 24 Vought Vindicators assigned to it at the time of the Pearl Harbor attack, but 18 of these were on board the USS Lexington near Midway on December 7th. The six remaining Vindicators of the squadron were at Ewa Airfield and all six of these were destroyed by the Japanese. The SB2U Vindicator was the first monoplane scout/bomber accepted by the Navy and was in the process of being replaced by more modern SBD Dauntless dive bombers at the time of the attack. 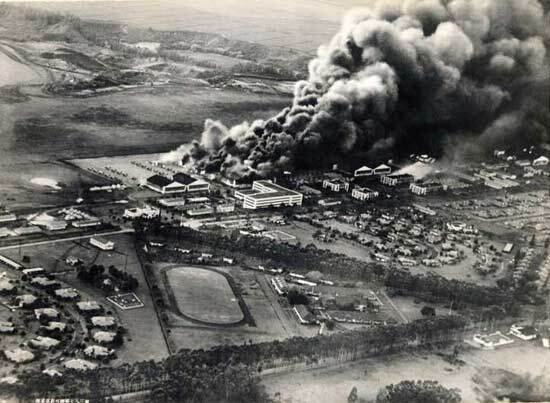 Hickam field suffered extensive damage and aircraft losses. 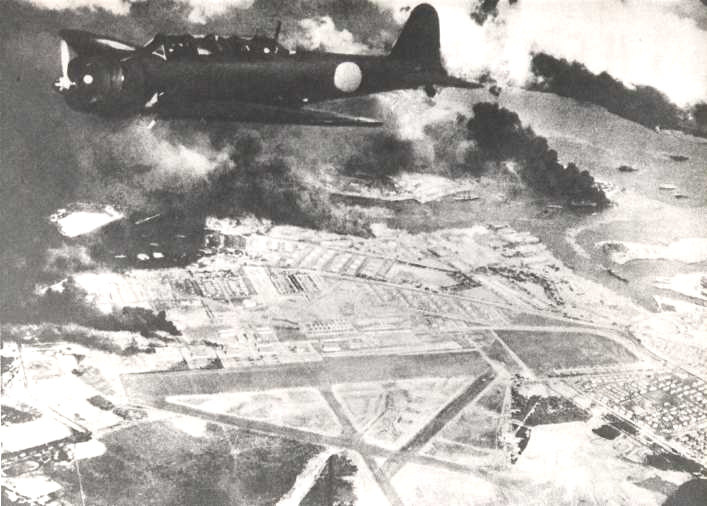 Japanese fighters tried to destroy as many parked aircraft as possible to ensure they did not get into the air to attack the bombers before they could return to their carriers. Photo shows and aerial view during the attack on Pearl Harbor. A Japanese Navy Nakajima B5N2 torpedo plane can be seen over Hickam field, adjacent to Pearl Harbor. This plane was code-named Kate by the Allies and carried a crew of three. Kate aircraft sunk the American battleships USS California, USS Oklahoma, USS West Virginia, and the obsolete USS Utah with aerial torpedoes, in the Pearl Harbor attack. Note; Credit for information from Wikipedia and WW2 Headquarters.